There’s seeing double – and then there is seeing double. Remember this August Vogue cover? 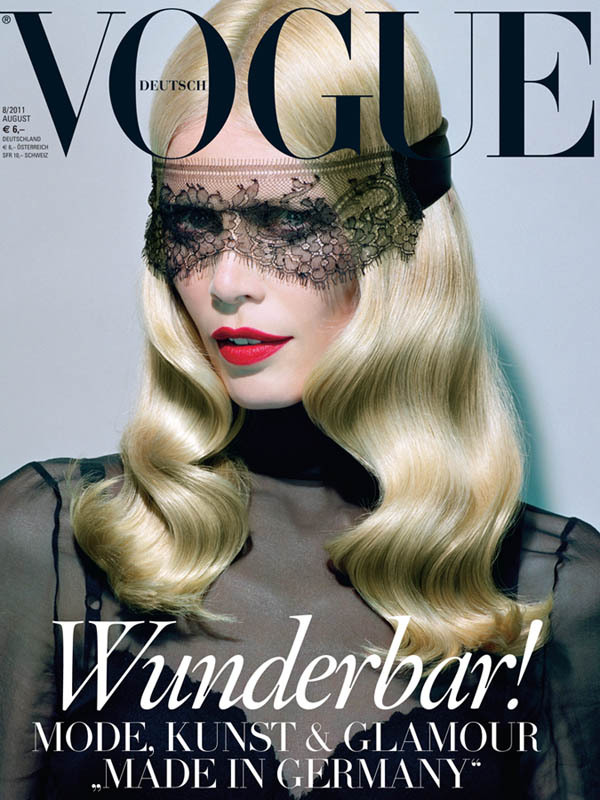 Claudia Schiffer by Miles Aldridge on the cover of Vogue Germany, August 2011. Well now, there is this one with the same trace of lace and vampy grace. Why rrreow when you can purrrr? Anne Hathaway photographed by Mert & Marcus for Interview magazine, September 2011.